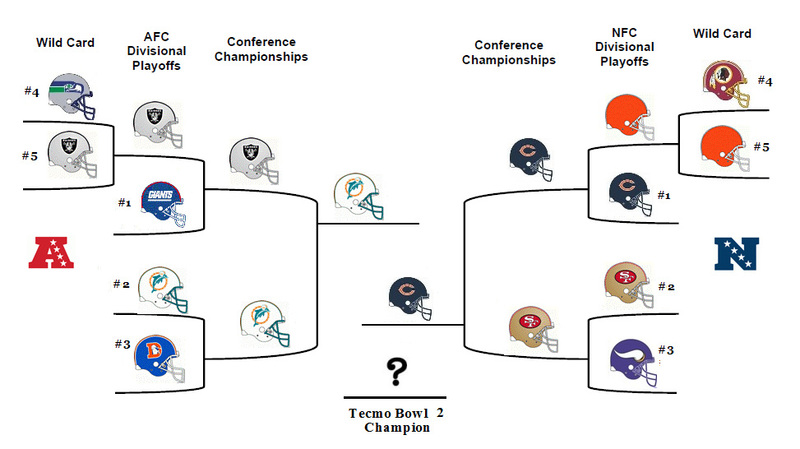 Which teams will meet in the Tecmo Bowl championship game? Each Tecmo Bowl season is played on the NES console. We draft the teams, then randomly set up the division and conference alignment. Each Team gets 6 games at home(player 1) and 6 on the road(player 2) in the regular season. Divisional, conference, & inter-conference games are all factored into a complex & compelling scheduling process that makes each season a unique experience. 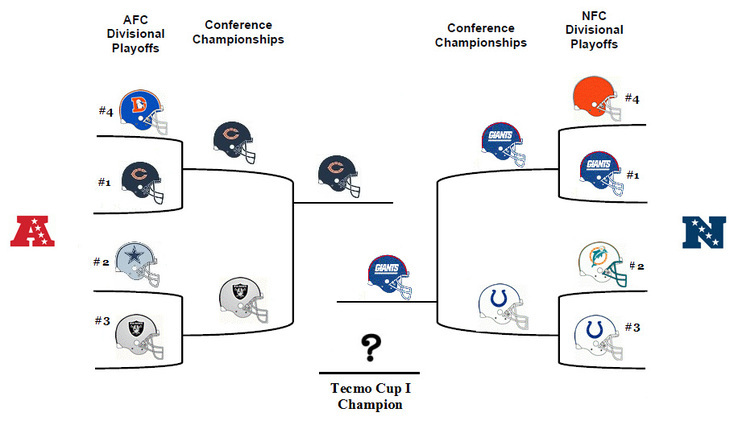 The final records determine playoff seeding, & inevitably the path to the Tecmo Bowl Championship. After nearly 100 games per season, our newest Tecmo Bowl Champion is finally crowned. Fredd Young was the dominant defensive player of the season. Some traditional powers (Giants/Dolphins) were down that season, on account of inexperienced players controlling them, and failed to make the playoffs. 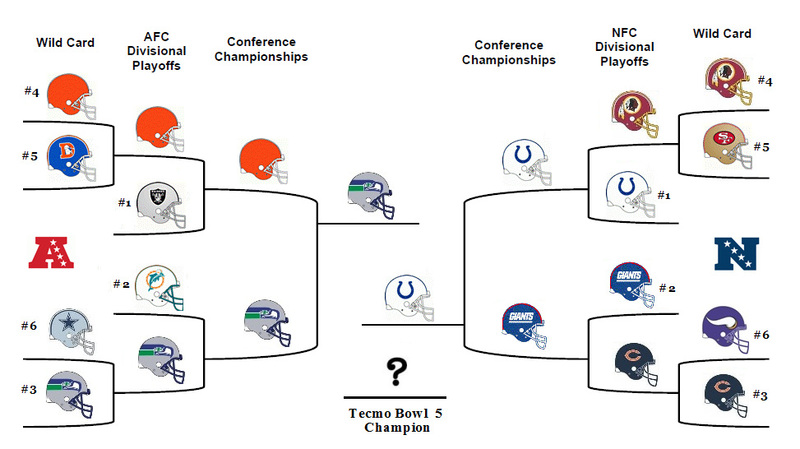 Teams like the Seattle Seahawks & Dallas Cowboys got high seeds in the tournament and seized the opportunity to reach Tecmo Bowl I.